Shine is the ultimate combination of temperament, conformation, ability and beauty. He had a long and successful career. 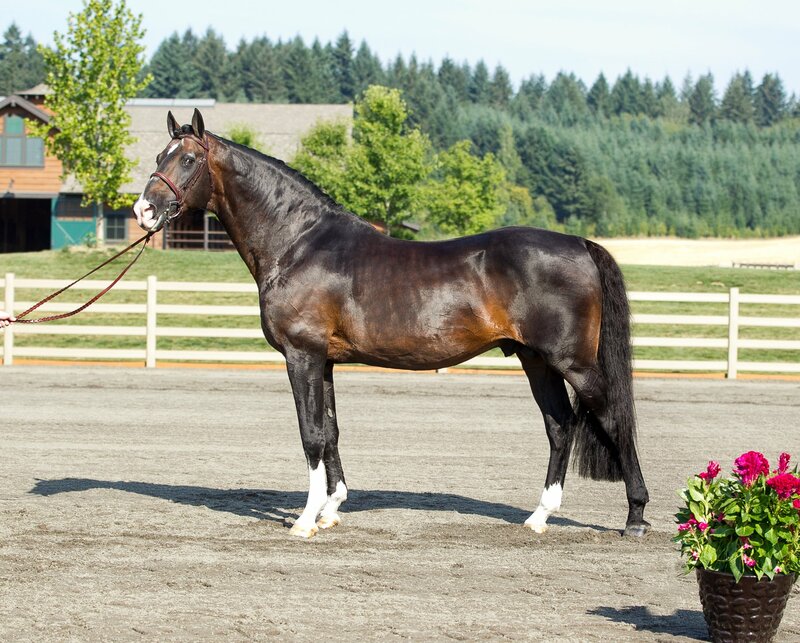 He was imported in 2000 from Germany where he competed in dressage. Upon entering the U.S. he was introduced to the Hunter ring where he excelled. 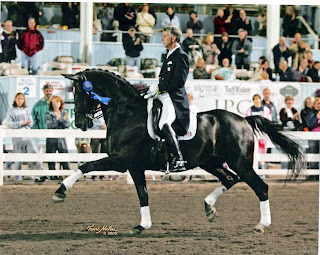 He won many national, regional and state championships in the Green Hunters and then moved on to the Amateur Owner Hunters where he continued his winning ways. 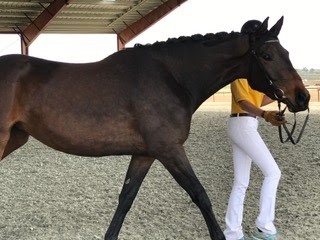 After being purchased in 2006 by Olde Oaks Farm, he stepped down to the Adult Amateur Hunters with owner Victoria Hunton, where they were a pair to be reckoned with. In 2007 and 2009 they were Reserve Champion in the Texas H/J Assoc. and in 2009 Reserve Champion in Zone 7 as well. 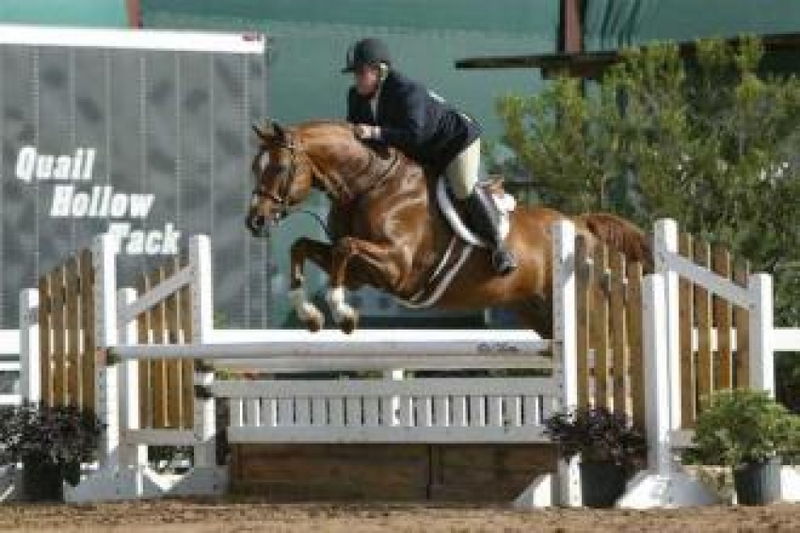 In 2010 he has been doing Hunter Derbies exclusively with trainer Liza Richardson of Hunter's Run Farms. 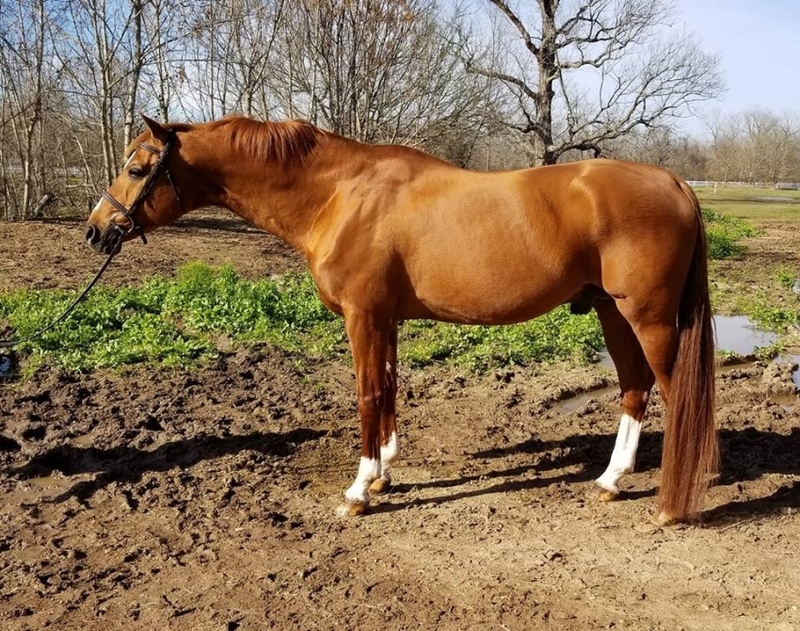 To date, he has won the Estes Park Hunter Derby, was 6th in the Texas Shoot Out USHJA Hunter Derby and 5th in the Texas Sporthorse Cup USHJA Hunter Derby. 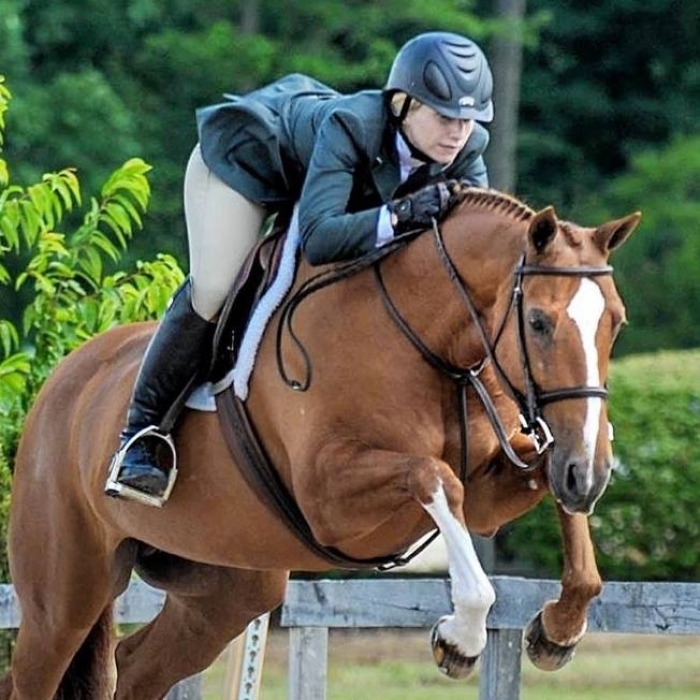 He has been successful without jumping a single high option in the USHJA Derbies. 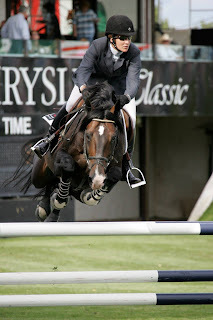 As a team we decided that after being in the Adult Amateurs at 3' for 4 years he deserved not to have to do any high options. He has nothing left to prove! 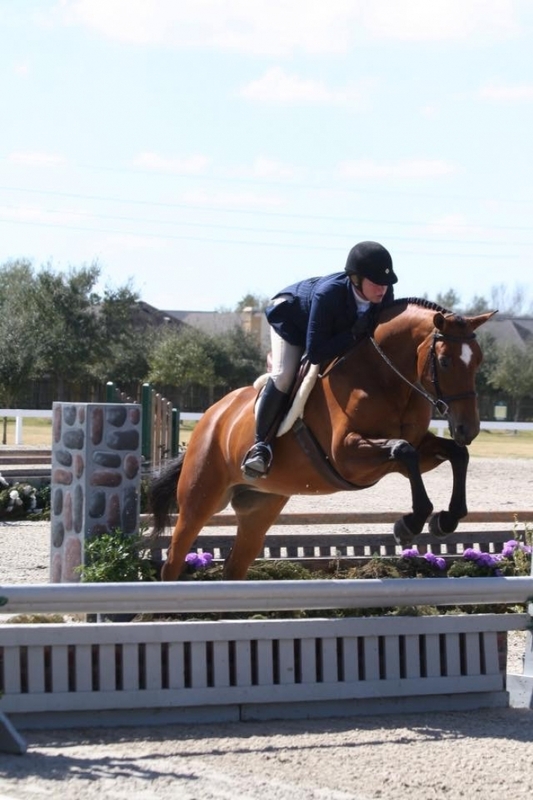 He competed twice in the USHJA Hunter Derby Finals in Kentucky, where he was spectacular! Both times he was the oldest equine competitor. 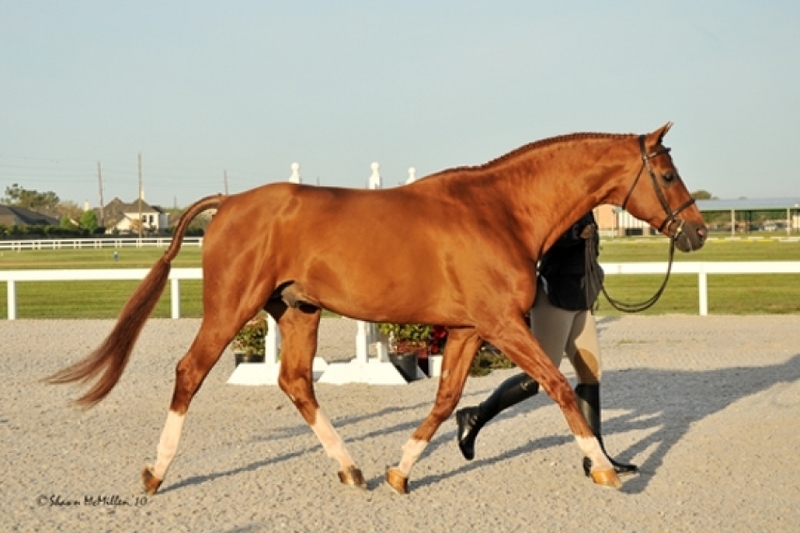 On his 20 th Birthday, at the Pin Oak Charity Horse Show, he took his last lap around the ring and was retired sound. At the age of 24 he is still sound and very happy making babies. He passes along his spectacular brain and temperament, as well as his head and neck. Many of his offspring have been started by amateurs. 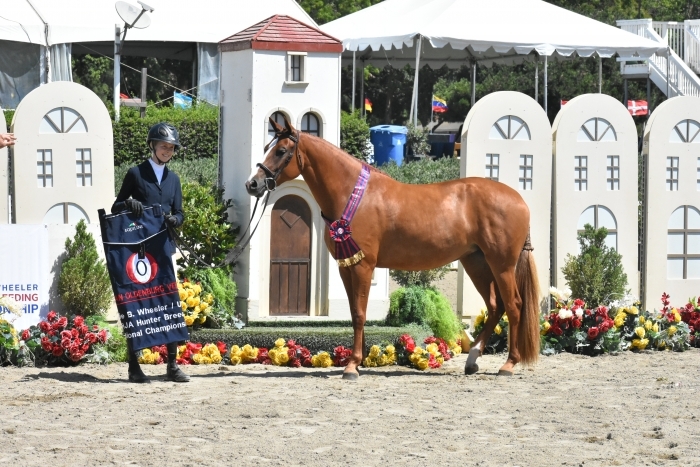 His offspring continue to win in the Hunter Breeding arena and the show ring! Details: One breeding dose. For $750 we will send two doses at the same time. Stud Fee: US$500 one dose, $750 for two doses sent at the same time. Details: Some frozen is kept in Canada for Canadian breeders. 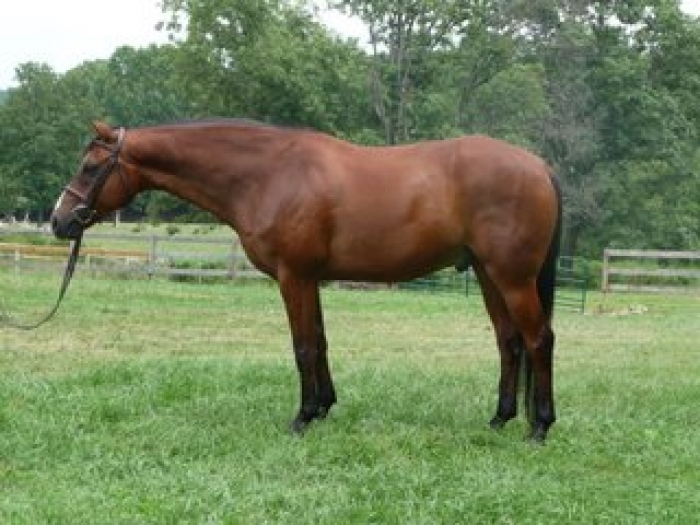 Click here to see all stallions managed by Olde Oaks Farm, Inc. I am interested in learning more about Shine (Alesi).